Another school season has ended and yet another school year is about to start. For sure, many students and parents are excited for it and they are now preparing the things needed for the upcoming school year. 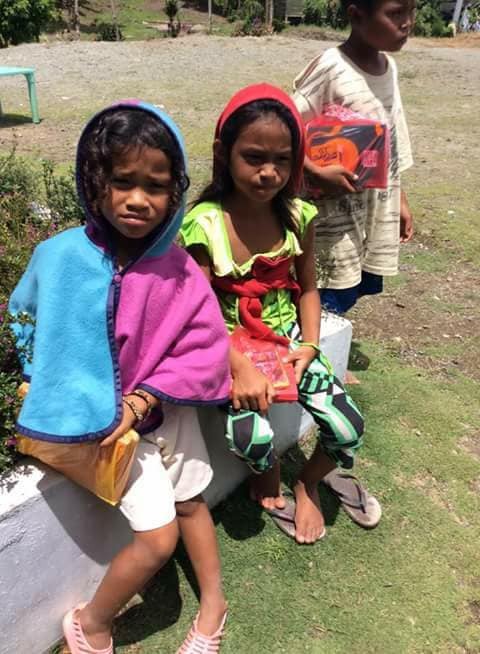 Unfortunately, not all kids who wish to learn can afford basic school materials or even decent uniforms. For a typical parent, it is something they look forward to but for our low income indigenous brothers and sisters at the highlands, it is an added predicament they needed to solve. That’s why, The Happy Forest Kids(HFK), together with our club Lulu Mountaineering Club(LUMOC) and other Mountaineering Clubs of Mindanao is initiating another program in preparation for the school year 2018-2019. This coming May 19-20, 2018 Our group will go back to Sitio Nangalid, Brgy. 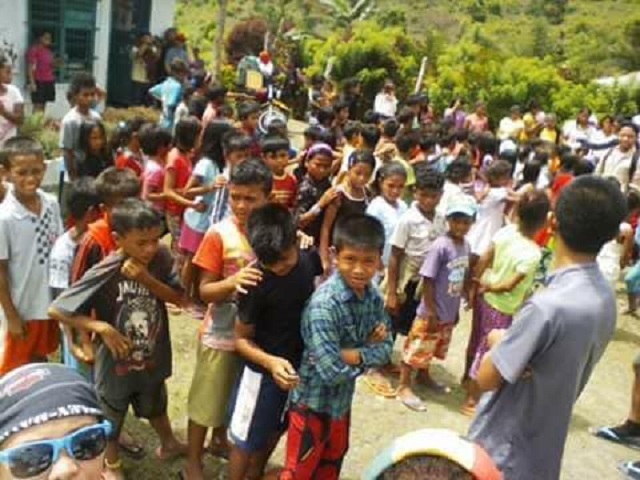 Datu Salumay, Marilog District to conduct a “Brigada Eskwela” program to the children of Nangalid Elementary School. 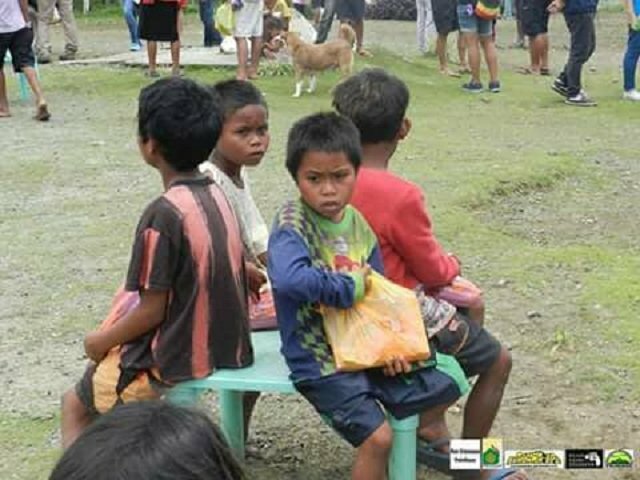 Our aim is to keep the children in school and address dropout problem through the means of school supplies and art materials gift giving and school classroom repainting. It is our way to help them have a fresh start to secure their future and inspire them to continue dreaming for a better life. 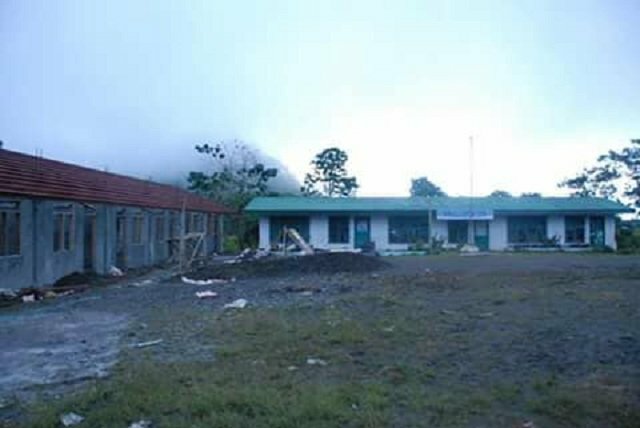 Nangalid Elementary school currently has an existing 1 storey building with 3 classrooms and the newly built 1 storey building with 4 classrooms. 3 classrooms needs to be repainted. Stage needs to be repainted. Aside from paint jobs, we will make sure that the area surrounding the school is always clean and green. 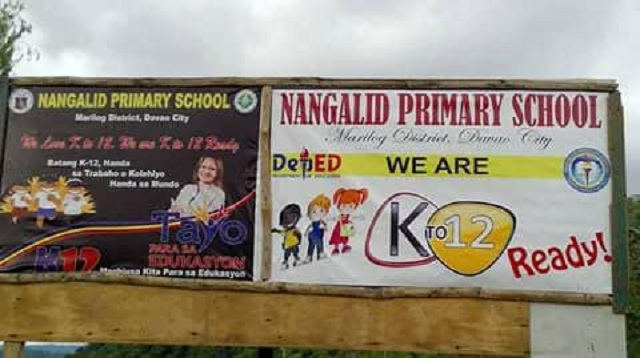 There are 100+ children that are currently enrolled at Nangalid Elementary School last school year. We plan to give every kid a school kit that has all the needed things for them to perform well in school. We are aiming to supply the children not only basic school kits but also art materials for them to enhance their art skills and imagination. Last March 28-29, 2018 we prepared Arrozcaldo for the local community of Sitio Nangalid and we were able to produce enough for the whole community. This time, one of the LUMOC member will be having a birthday and she pledged to sponsor our feeding program with packed lunch. In addition to the sponsored packed lunch, our club is planning to add Champorado or even Spaghetti depending on the donations we will be able to collect. 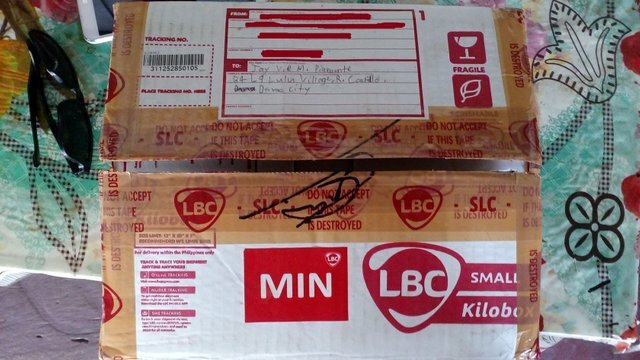 As of now, I personally have 1 box full of educational books from Ma’am @luvabi and another member of our club also has 3 boxes. The donated books will be displayed at the school’s library and other books will be available at the Happy Forest Kids shelter at the back of the school. With that said, I am knocking once again at your pure hearts to help us make this program a successful one. We are still in need of funds or sponsorship for our Notebooks, Pencils, Crayons, Ballpens, Rulers, Paints (for the classrooms) and etc. Also, we are still accepting used educational books that will be turned over to Ma’am Kat of HFK Shelter. 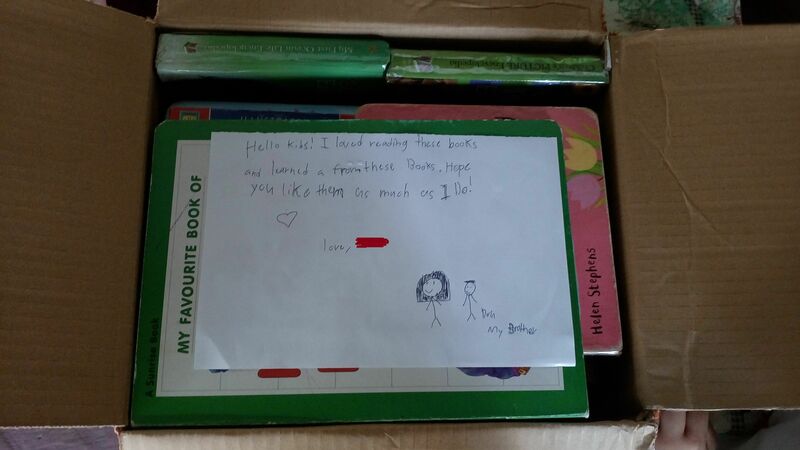 For book donations, you can ship it to my address: (B4 L9 Lulu Village, Brgy. R. Castillo, Davao City) or we can meet up at downtown area if you are from Davao City. @surpassinggoogle is such a generous person and has a very big heart for all of us here. Please support him as a witness by voting him at https://steemit.com/~witnesses and type in "steemgigs" at the first search box. If you want to give him witness voting decisions on your behalf, visit https://steemit.com/~witnesses again and type in "surpassinggoogle" in the second box as a proxy. Others that are good: @beanz, @teamsteem, @good-karma, @busy.org, @esteemapp, @hr1, @arcange @bayanihan, @acidyo, @anomadsoul, @steemitph, @henry-grant, and @paradise-found, also the many others who have visited My posts. Pls. support them too. I am grateful for that and for everyone who has helped me and my friends. Thank you very much. Thanks to @bobiecayao for mentoring me and also to #steemph #dynamicsteemians and #steemitdavao family. I am the curator for the crowdfunding community upfundme here on steemit with members funding for all sorts of things. You are welcome to use upfundme if you follow the rules and you would be eligible for support from the upfundme account and Curation trail. You can get a overview of what upfundme is about here. You can find out more and the rules here. Hi, thank you so much for reaching out. I will visit and read the links you provided and I am hoping to benefit from it in the near future while doing charity works. Now thats a great cause! It should always be about the children! God bless! upvoted and resteemed. We recommended this post here and here. We are Discover Steem, if you like our work consider giving us an upvote. :) If you don't wish to receive recommendations under your posts and to be recommended, reply with STOP.